Dear All, Arca Family cordially invites you to “PATANGOTSAV” to rejoice the charm of Our Tradition on 12 January 2019 @GIIS Uppal campus. 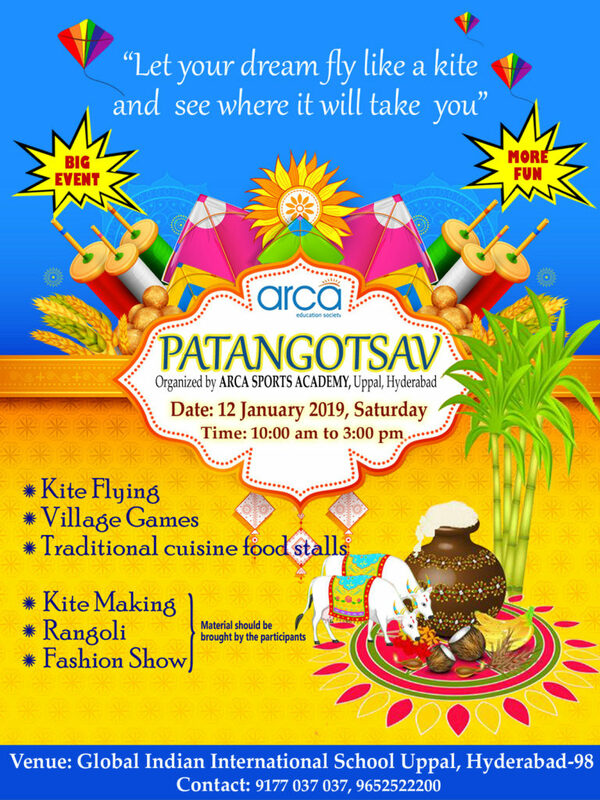 Come and enjoy the traditional cuisine, games, kite flying and much more fun. For More Details Contact : 9177037037, 9652522200.